Full service landscaping in Tucson, AZ, specializing in Rainwater Harvesting, Organic Maintenance, Native Plant Design, Greywater Harvesting, Gutter Installation and more. 100% Natural and Organic Maintenance for sustainable, eco-friendly landscaping in Tucson, AZ. Our organic maintenance program is designed around practices that preserve limited and costly natural resources, regenerate natural systems, encourage healthy and long-lived plants, reduce waste generation, and help prevent air, water, and soil pollution. We strive to utilize the most current and environmentally conscientious methods— including 100-percent organic fertilizers and herbicides—to provide our clients with beautiful, resilient, eco-friendly landscapes. We know that you’ve spent a lot of time, energy, and money creating a landscape that you can enjoy. Now it’s time to sit back and watch as your yard grows and matures into the space you’ve been dreaming of. Our trained Maintenance Technicians are friendly and knowledgeable and will work with you to achieve your site-specific goals. Our use of organic herbicides and fertilizers, natural pruning techniques, and efficient irrigation scheduling ensure that your landscape remains healthy and attractive, while minimizing unnecessary environmental impacts. Read more information on the risks posed by chemical herbicides, fertilizers, and insecticides. Find out how to make your home more sustainable, beautiful, and ecologically responsible. 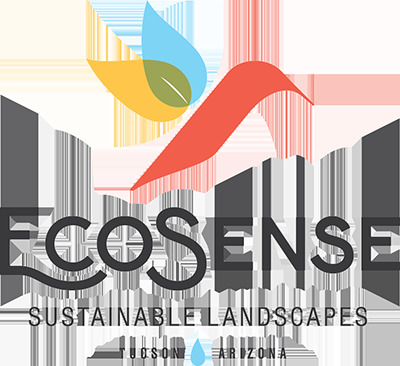 ® 2017 Ecosense sustainable landscapes, inc. Licensed, Bonded, and Insured Since 2009.
site design by saywells design co.